It is Zelda‘s 25th birthday! 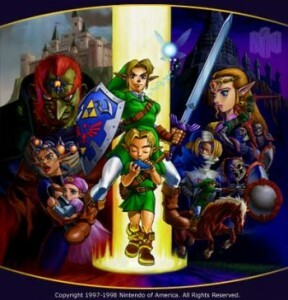 If anyone does not know about the game Zelda, look it up! A short summary of Zelda is: a Guy named Link is trying to save the world and is usually trying to save the princess Zelda. The bad guy is either a guy named Gannon, or a guy named Gannondorf. They are after a thing called the triforce. It is a powerful thing that makes anybody super strong. The triforce will give you the power if your good or bad. It doesn’t know if you’re good or bad. So it is Link’s job to make sure that Gannon/Gannondorf doesn’t get it. You play as Link in every game. So Happy birthday Zelda!